Verizon Wireless is the number one cell phone carrier in the United States. So, it’s a big deal to get a discount from Verizon Wireless. Here we’ll preview the Verizon senior discounts to help senior citizens save money and enjoy the best service. The Verizon 65 plus plan is a two-year contract plan that offers limited minutes (200 anytime minutes) for $30 per month. This plan is for seniors who use basic phones and is not available for the new customers. If you are on the Verizon 65 plan you can add a text message package and also a limited data package for additional costs. For more information about this plan check out the Verizon nationwide 65 plus plans. These are the new Verizon plans offered for senior citizens and people over 55 years old. The plans offer unlimited talk, text, and data for discounted prices than the standard Verizon unlimited plans. Senior citizens will pay $60 for the first line per month with autopay and will pay $20 per month with autopay for the second line so, the total discount is $50 per month on two lines. For more details about the plans check out the Verizon 55 plus plans. The Lifeline program allows Verizon Wireless low-income customers to get a reduced rate on the monthly bill. To join the Lifeline assistance program you should prove you’re eligible via documentation. The discounts are consisting of either landline or wireless phone service. 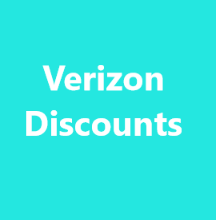 The usual Verizon lifeline discount is $9.25 per month and may vary from one state to another and it may be not available in some states or not available in all areas of each state. So, you need to check the Verizon website to find out if the Verizon Lifeline is available in your area. If you are looking for a free service and free phone you may need to check out the free cell phones for seniors section.